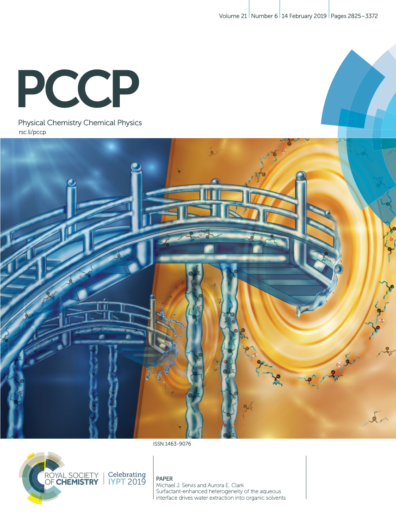 The inability of one solvent to solvate another forms the basis of phase separation and an entire field dedicated toward using liquid:liquid interfaces to initiate chemical reactivity. 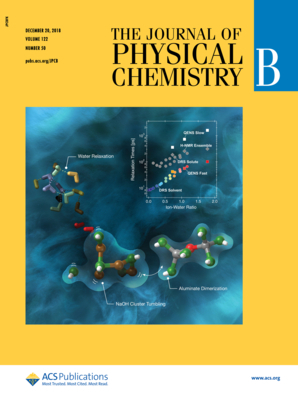 We are particularly interested in metal-ligand complexation reactions at interfaces, as well as the transport of solutes across phase barriers. This has significant impact in the nuclear fuel cycle, where separation of fission products is an essential aspect of fuel recycling in the next generation of advanced nuclear fuel systems. 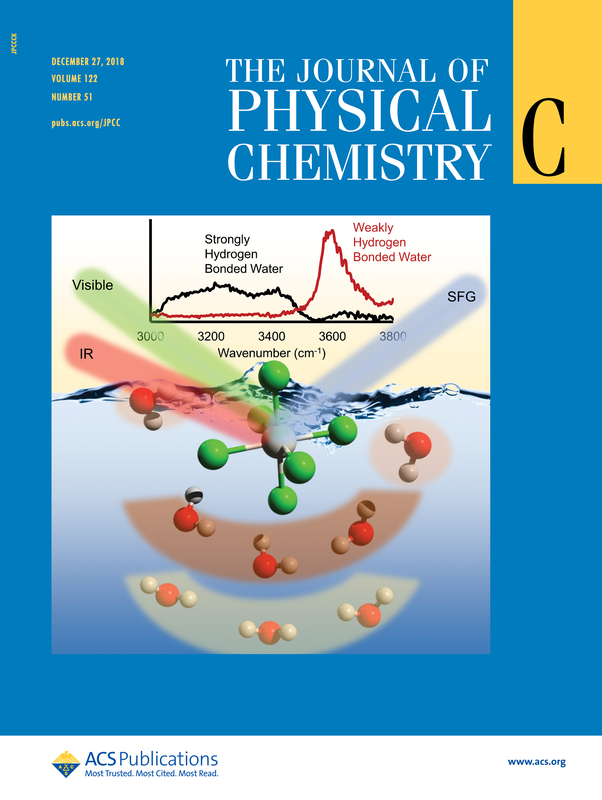 Network analysis is helping to understand what the major features are of phase boundaries, how sensitive interfacial reactivity is to aqueous phase conditions, surface modifiers, and organic diluent conditions. We work closely with experimental collaborators at Argonne and Pacific Northwest National Laboratories to use theory to push the boundaries of interfacial characterization and develop new predictive models of interfacial behavior. The solid:liquid interface imparts unique structural organization of solvent and can lead to confinement effects, hindered dynamic phenomena, and screening from potential sorbents. Structured fluids exhibit hierarchical ordering of solutes and solvent across length and timescales. They are ubiquitous within industry (for example solvent extraction or cleaning detergents) and basic science (for example the study of liquid interfaces, shear induced thinning of emulsions, and the synthesis of nanoparticles). We are interested in sub ensemble analyses that elucidate the fundamental physicochemical properties and their relation to the solution rheology. TDA is a field that studies the patterns within data so as elucidate new correlating relationships and insight. We use topological metrics and develop new TDA approaches to data mine simulation trajectories of complex fluids and environments. 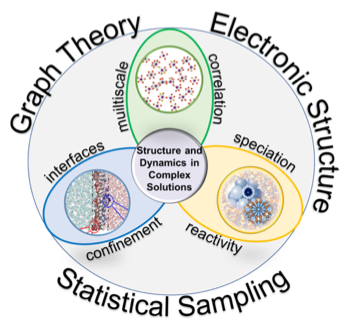 These methods take the average ensemble data from a simulation, and partition it into an array of different subs ensembles that may each have their own unique physicochemical characteristics. -Amit Singhal, Google Fellow and Senior Vice President.